PSFA U11’s squad have enjoyed a lot of recent success in the past few seasons. Notably in the 2015/16 season when the squad won our first Cotswold League title in over 20 years. Not only this, the the Class of ’16 also managed to do this by recreating the ‘Arsenal Invincibles’. Our PSFA U11’s in-fact won all of their Cotswold League games that year without dropping a single point! They also managed to qualify for the Premier League National 9v9 tournament where they managed to get our highest ever finish at the national event. The following season, with all the hype to live up to; proved to be just as memorable. The Cotswold League title was retained by the new squad and won by Plymouth for two years on the bounce! Something that had not been done before. To ensure they followed on in the PSFA new found footsteps, the Class of ’17 also qualified for the Premier League National Finals. 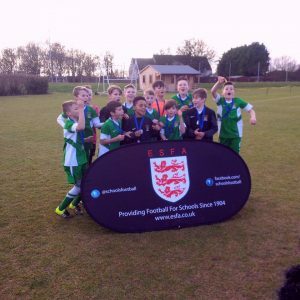 They however, won the South of England qualifying tournament taking them to Derby already with two pieces of silverware, in the League and South-England tournament. The record set the season before was taken to new heights as the Class of ’17 squad wanted to leave their own legacy by setting a new highest place finish at the National finals. Following the success, we hope that the new Class of ’18 squad can keep the ball rolling (no pun intended) as we look forward to what promises to be another exciting season!